Helena, Montana: Park rangers have begun capturing wild bison in the Stephens Creek trap within Yellowstone National Park. 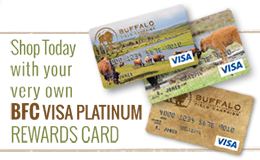 Since February 20, approximately 150 of America’s last wild buffalo have been trapped. According to park officials, all are destined for slaughter. "Yellowstone's slaughter of wild bison is as lacking in scientific reason as it is in public support," said Buffalo Field Campaign's Stephany Seay. The Park Service claims that they are reducing the wild bison population due to the threat of brucellosis, a livestock disease originally brought to North America by Eurasian cattle. There has never been a documented case of wild bison transmitting brucellosis to livestock. Elk, who also carry brucellosis and have transmitted the disease to livestock numerous times in Idaho, Montana, and Wyoming, are free to migrate from Yellowstone and are managed by hunting based on sustainable populations in available habitat in Montana. BFC habitat coordinator Darrell Geist says the state of Montana and Yellowstone National Park refuse to manage wild buffalo like wild elk, an alternative that would put the government out of the buffalo capture for slaughter business. "Montana is blessed with an abundance of public lands but cursed by a statute that stands in the way of managing migratory buffalo as a wildlife species," said Geist. “Few people know that MCA 81-2-120 is almost entirely funded by the U.S. Dept. of Agriculture to back Department of Livestock management of wild buffalo. Without American taxpayer funding, Montana and Yellowstone National Park would have to change their ways." Yellowstone and the other Interagency Bison Management Plan partners have stated that they want up to 900 wild bison killed this year. Over four-hundred have already been killed by hunters. The agencies aim to kill hundreds of wild bison every year until they drive the population — now estimated at 4,400 — down to just 3,000 animals. This population target is a result of livestock industry pressure to address unfounded brucellosis fears, and Yellowstone’s false premise that there are “surplus” wild bison. BFC executive director Dan Brister questions the faulty science that Yellowstone and IBMP partners are operating under. "There is no such thing as 'surplus' wild bison," said BFC executive director Dan Brister, "Yellowstone's target population cap of 3,000 animals is nothing more than a politically derived number that has nothing to do with carrying capacity." Yellowstone's capture for slaughter operations adversely impact the wild population’s natural immunity to introduced diseases, including brucellosis, and increases the risk of more virulent and persistent strains arising in the wild population. Cumulative impacts of management actions pose a significant threat to the viability of wild buffalo remaining in Yellowstone. Under the voluntarily agreed to Interagency Bison Management Plan, Yellowstone National Park and the other IBMP agencies continue to operate under faulty assumptions and outdated information, in contravention of the agency’s mandate to use the best available science to inform decision makers and the public.